ข้อมูลอื่นๆ This is the BIG one. A very nice 8370R with all the options you will want. IVT/ILS/Flotation Rubber all the way around/Leather/5 rear remotes/Hyd top link. This tractor has been maintained and will make you a great tractor for the price. 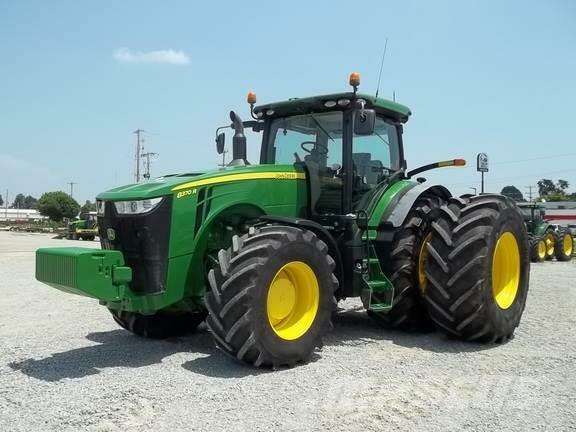 This 8370R will give you great flotation along with a lot of horsepower. We have it serviced and ready for your farm today. For more info contact Chris Shourd and he can answer any questions you might have about this tractor and its history.